Children turning 7 in the calendar year will be in Grade 7 and children turning 8 in the calendar year in Grade 8. Girls are able to play in mixed grades – either in their age grade or down a grade if they prefer – and/or can play in the Girls Only Football League on Sundays. Fun Football will always be on Saturday mornings. There will be a three week rotation. The first two Saturdays teams will be playing “Game Days” at Raroa Park where Onslow teams will each do a 20 minute general movement and technical skills warm-up with their coach and then play 4 games of 10 minutes duration games against other Onslow teams. Grade 7 teams will be playing from 9am to 10:15am and Grade 8 teams will be from 10:30am to 11:45am. Every third Saturday Capital Football organises a “Festival Day” where Onslow teams will play other Wellington teams – this may be at other locations around Wellington or at Raroa. The format for the Festival Day will still follow the 20 minute warm-up and 4 x 10 minute games format. This three week rotation will be repeated throughout the season. Fun Football focuses on increasing the skills of the players and their enjoyment of the game. 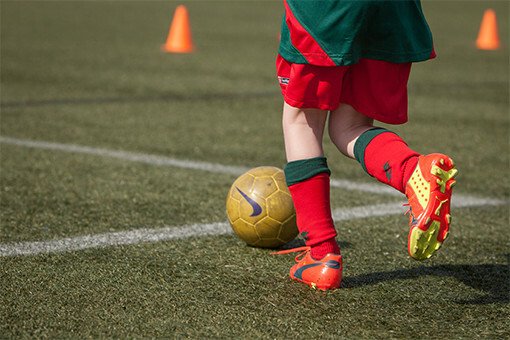 Skills include general movement and coordination, football technique and football coordination. The small sided games allow children to practice these skills in a team situation getting lots of touches on the ball in each game.